As a habit I do not expose my iPhone to the large stray magnetic fields of high-field or unshielded NMR magnets. I do however feel safe carrying it near low-field shielded magnets with 5 Gauss stray fields within the croyostat of the magnet. That is - until lately. Last year, after topping up the liquid helium on a 300 MHz shielded magnet in a fairly small room, I noticed that my iPhone 8 had become completely unresponsive. The only stimulus it appeared to respond to was gravity. As it was under warranty, I sent it back to Apple. After a week or so, they sent it back to me with a note saying that there was nothing wrong with it. 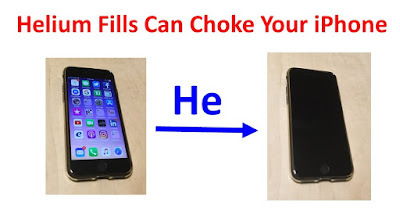 I found this very strange and did not make a connection between the helium fill and the problem with the phone. I had done many helium fills in the past while carrying an older iPhone 5. Approximately 9 months later, my iPhone 8 suffered a similar problem again after filling the same shielded 300 MHz magnet with liquid helium. This time, I took it to a local Apple Store while it was dead. The technician examined it, ran it through a software protocol, confirmed it was dead and issued me a new phone as it was in its last weeks of its warranty. 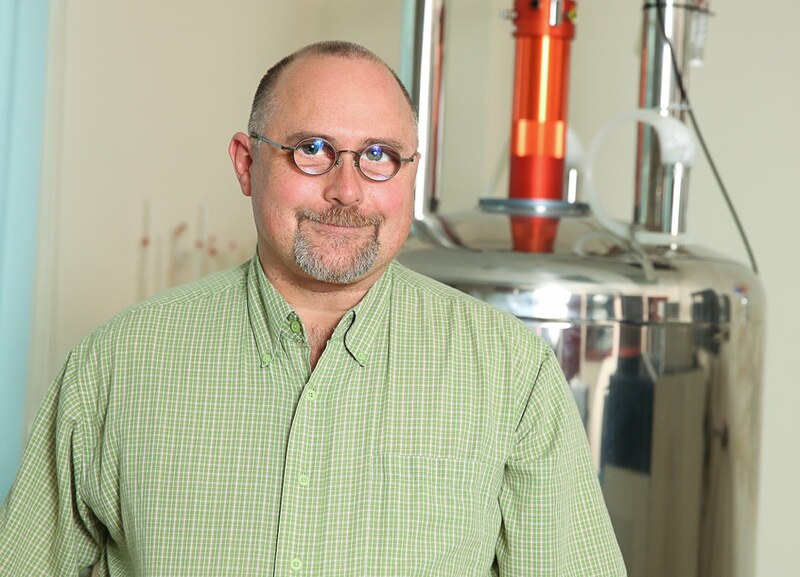 Shortly after this, I read about problems others have had with iPhones and Apple watches around helium gas and finally made the connection between the problem I was having and my helium fills. Some Apple iPhones (apparently, iPhone 6 and higher) will completely die when exposed to helium gas. As if in the spirit of Easter, however, they will resurrect themselves after the helium has dissipated from the phone and the battery has been allowed to discharge. The problem is that in newer iPhones, Apple has swapped out a quartz oscillator, used in older versions of the phone, with a microelectromechanical systems chip (MEMS) which is sensitive to the presence of helium gas. This sensitivity is indeed mentioned in the User Guide of the iPhone. Android phones apparently do not use MEMS and therefore are not vulnerable to the problem. Several weeks ago, I absent-mindedly entered a room with my iPhone 8 while a magnet was being filled with liquid helium. Again, the same thing happened. This time, I allowed the phone to sit for a week after which I was able to charge it. After charging, it worked well with no loss of data. Warning: If you see that a magnet is being filled with liquid helium, Do not enter the room with an iPhone 6 or higher. Wow, poor smart things - that's a pretty long hangover after just a few wiffs. Next thing, they will start CRAVING for a bit of helium!